“UFC 142: Aldo vs. Mendes” is officially halfway over, as all five preliminary fights are in the record books. 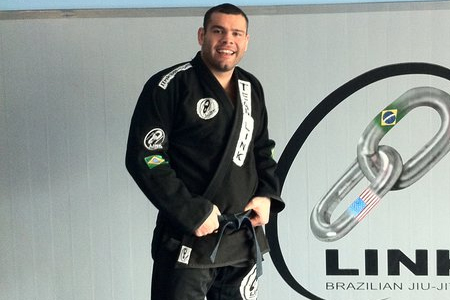 Gabriel Gonzaga (Pictured) made quite the splash in his return to the Octagon. The heavyweight easily disposed of Ednaldo Oliveira with a rear-naked choke in the 1stRound of their scrap. Speaking of quick wins, Mike Pyle put Ricardo Funch down with a knee to the grill just 82 seconds into their welterweight affair. HSBC Arena in Rio de Jenairo, Brazil is hosting tonight’s fiesta. The pay-per-view broadcast airs live in North America at 10PM ET/7PM PT. Featherweight king Jose Aldo puts his crown on the line against Chad Mendes in Saturday’s featured attraction.